Have you ever been in a situation where you have the potential yet you do not have enough resources to make it realizable? Well, most of us have probably experienced that even in our day-to-day activities. The same situation also happens in the business world. 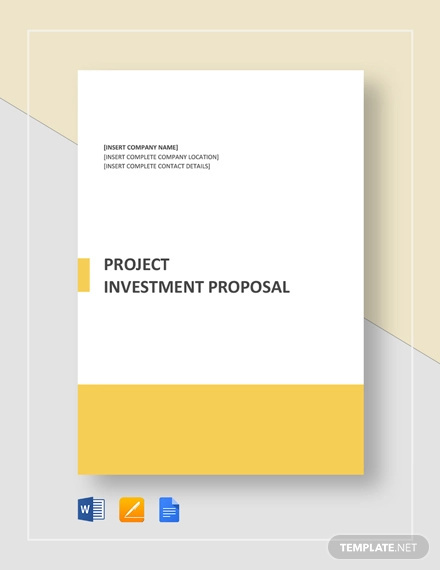 Some people have these project proposals but they do not have funds to build it. If you are an entrepreneur or someone who wants to excel in business, you need to come with extraordinary ideas as well as overflowing confidence that you will succeed. 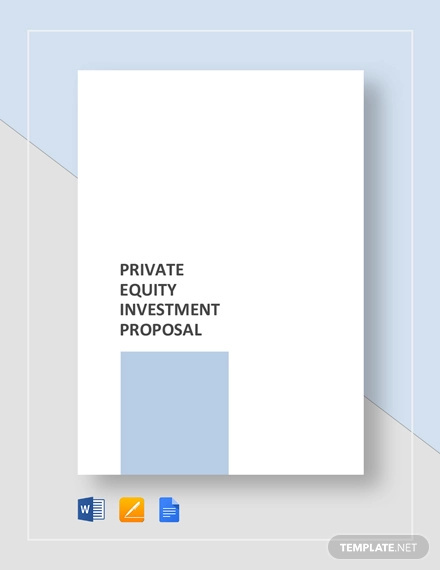 The most common practice is through investment. 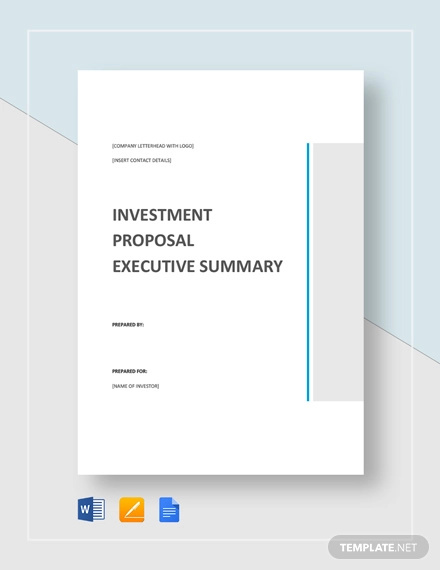 This is quite common between business proposals because it provides an array of benefits to everyone involved. 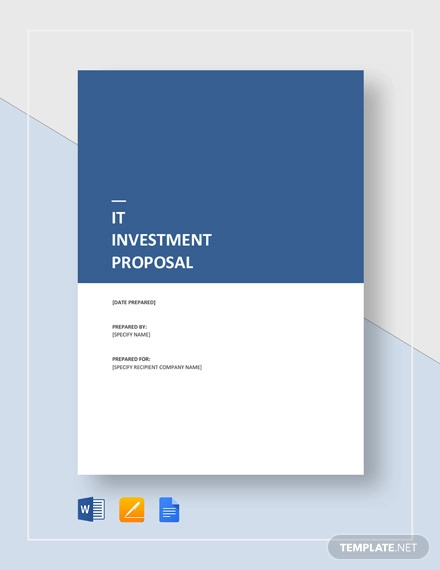 A proposal example is a written document that provides a detailed information of a project, its value, and the potential benefits that come with the idea of investing on it. 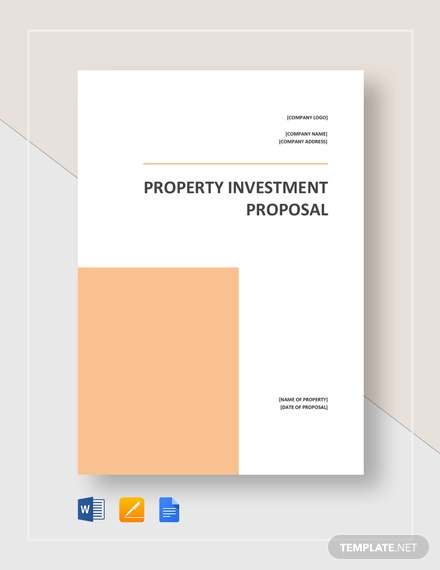 It is written with the main objective of persuading writing potential investors to join or support a project under management agreements and business arrangements. 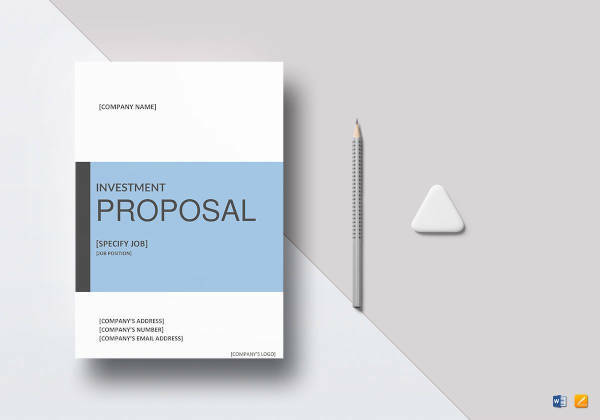 One of the things you have to remember when making an investment proposal is that you need financial support for your project. You have to convince your target client that your project has a great relevance as well as beneficial to them. 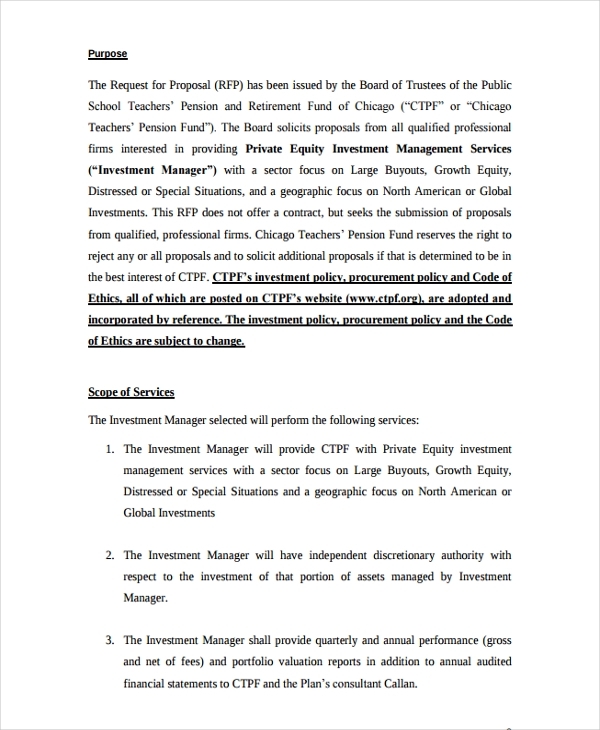 Provide a brief background. 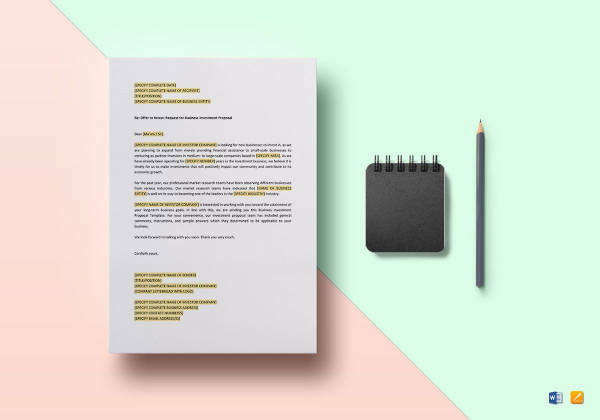 The first thing you need to do is to tell a short story behind the project. 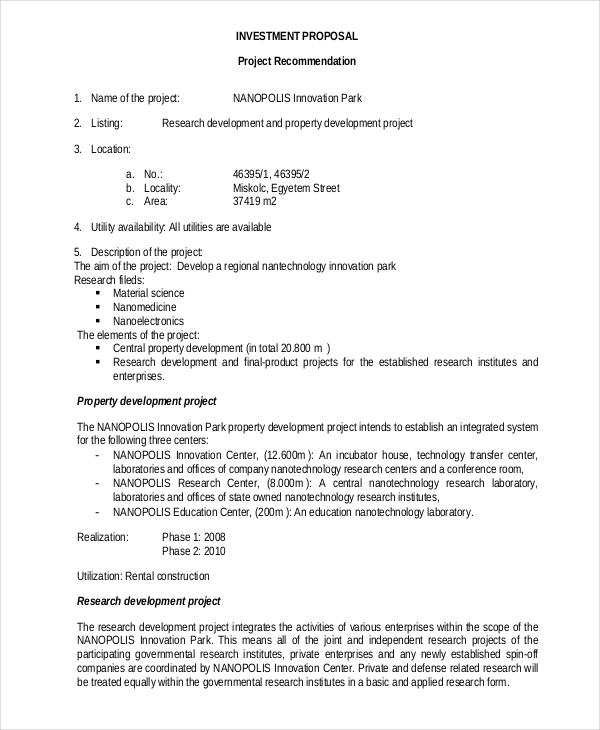 Write what made come up with the project as well as your objective. Offer the benefits. 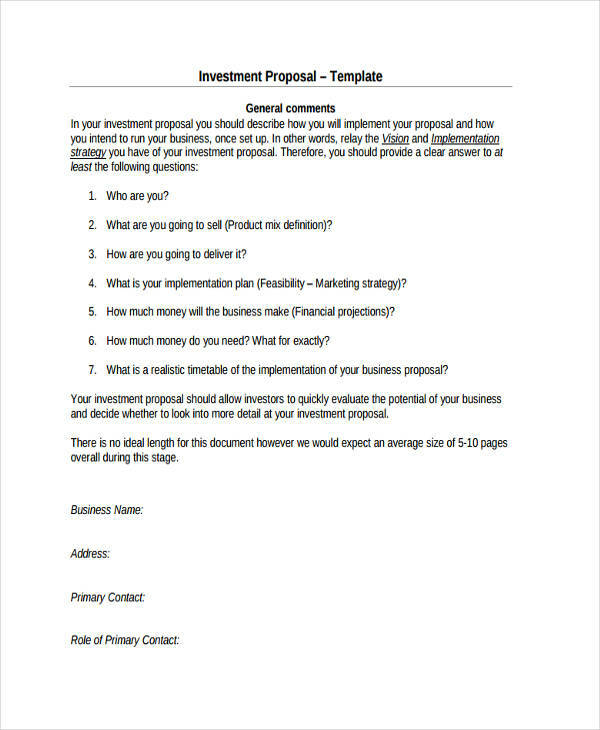 Write business statements about the target beneficiaries of your project as well the benefits of it to your client. 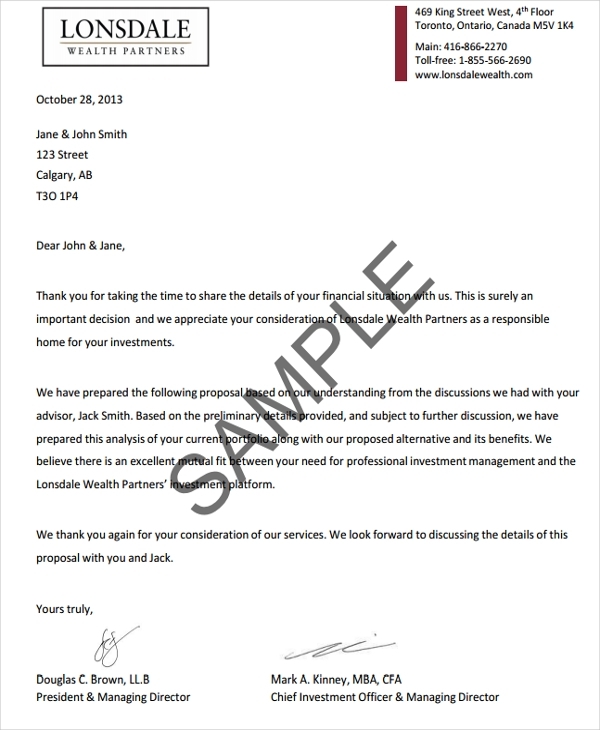 Mention about company brand recognition or possible profitability. 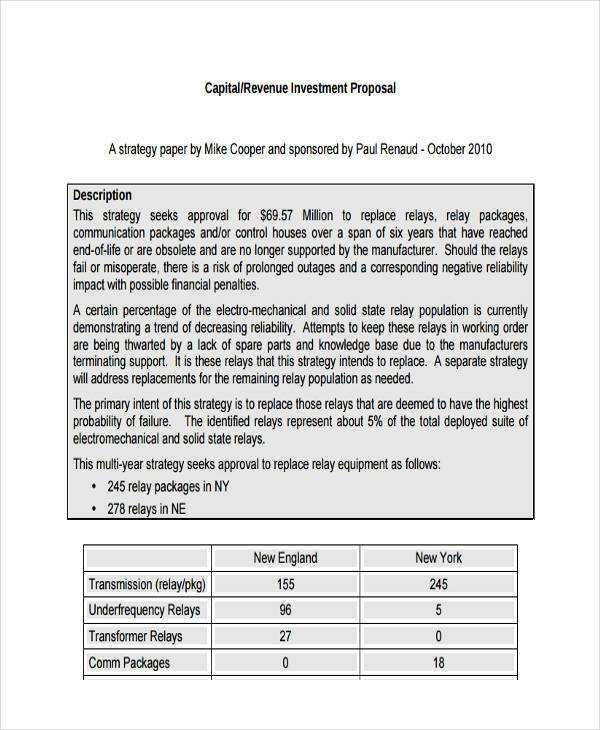 What Is a Capital Investment Proposal? 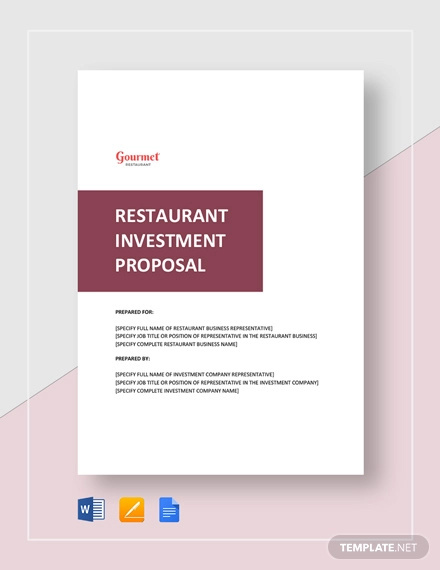 A capital investment proposal is a written document that is given to prospected clients in order to gain or acquire investment funds in order to pursue or further a business. 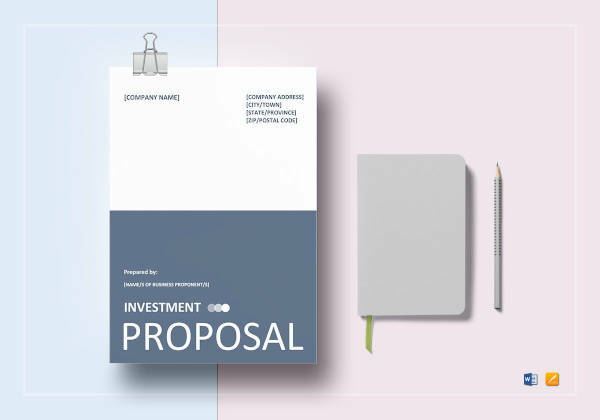 It focuses on the objective of securing a reasonable amount of money to start or continue, whichever comes first, a business plan that is expected to flourish and provide a considerable possibility of profit and return of investment. This is usually practiced by those who are starting a business but do not have enough funds or financial capacity. 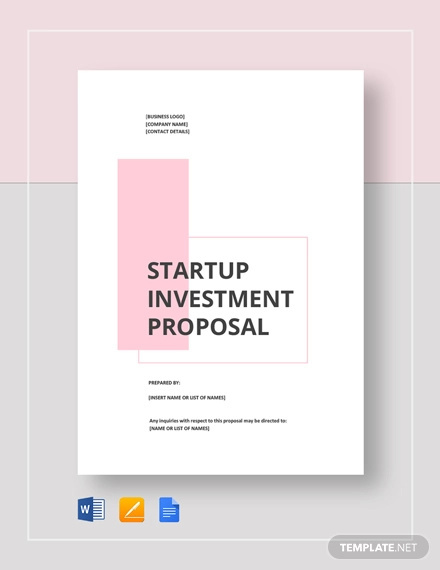 It is then sent to investors like banks, big corporations, and financing firms. 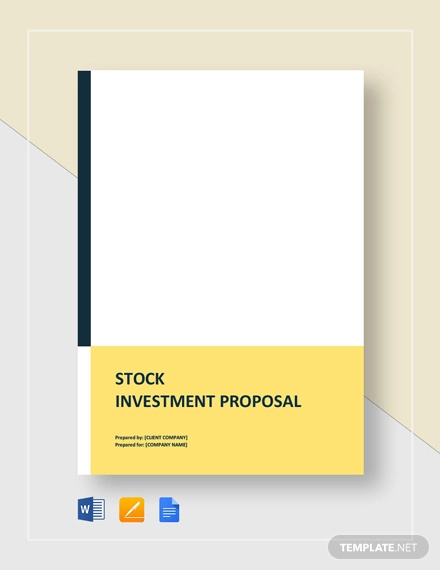 Waiting for the result after an investment proposal is much harder than writing it. So, before you dive into the thrills of the waiting game, make sure you know what you are doing. 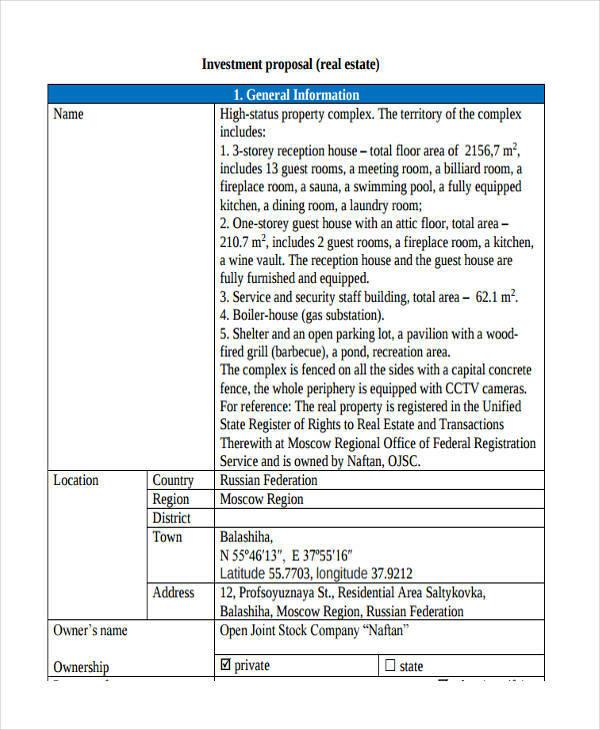 Set an objective. 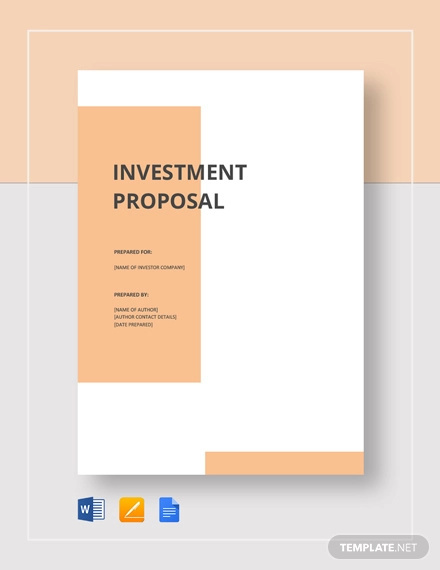 Setting an objective should be your priority when writing an investment proposal. It will guide you as you go along the way to keep you on track. Focus on your project. 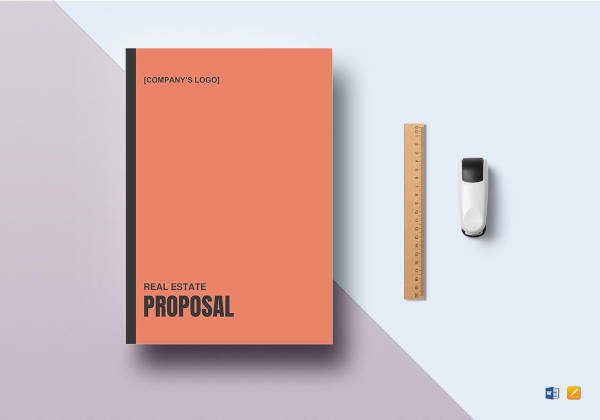 Think of the days and nights you spent thinking and planning about the project proposal. Make it your driving force why you need that financial assistance. Think of the after effects. 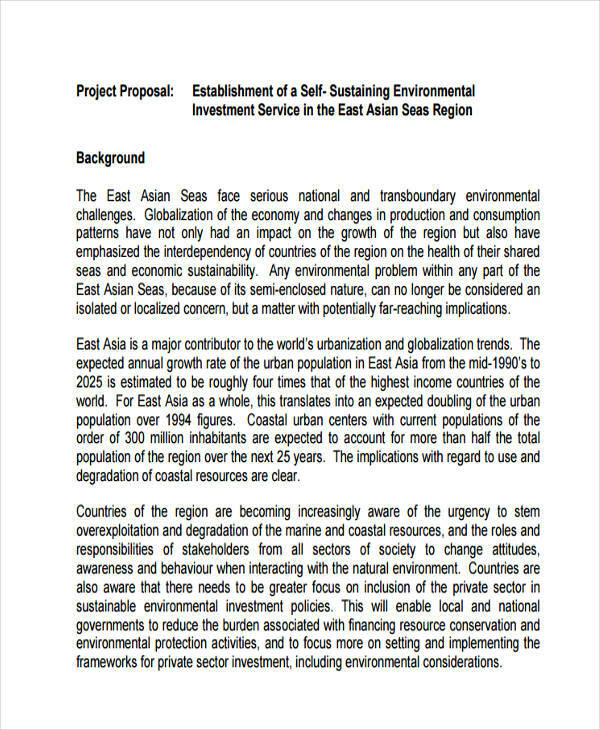 Thinking of the results makes you write positive things on your proposal. You can set aside those thoughts of rejection and decline.